Is Government Keeping Up With Technology? 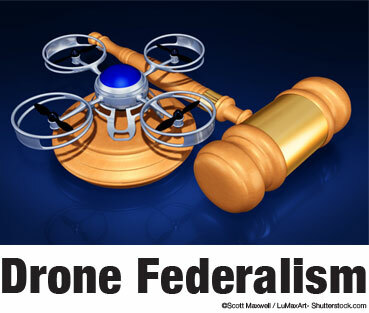 Although the airspace over the United States is, by act of Congress, the exclusive regulatory domain of the Federal Aviation Administration, states have been very active in recent years on the issue of unmanned aircraft systems (UAS), more commonly known as drones. But Congress is now considering legislation that would reaffirm the FAA’s aerial authority with regard to drones specifically. Since 2013 27 states have enacted laws and 15 states have adopted resolutions dealing with drones, according to the National Conference of State Legislatures (see Bird’s eye view). The bills have commonly addressed issues such as privacy and the use of drones by law enforcement or for hunting, while the resolutions have generally provided for studies of the issue. 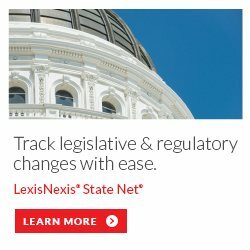 At least 41 states have introduced legislation related to drones this year, according to NCSL and legislative data from LexisNexis State Net. Seven states - Idaho, Indiana, Oregon, Tennessee, Utah, Virginia and Wisconsin - have passed 10 drone bills apiece, NCSL said. The measures include Indiana’s HB 1013, which allows the use of drones for photographing or video-recording traffic accident scenes; Oregon’s HB 4066, which, among other things, makes operating a weaponized drone a class A misdemeanor; Tennessee’s SB 2106, which makes it a crime to operate a drone within a certain distance of critical infrastructure; and Utah’s HB 126, which sets various criminal penalties for flying a drone in restricted airspace over a wildfire and for disrupting, colliding with or causing the crash of aircraft fighting a wildfire. Section 2142 spells out in detail what the FAA Modernization and Reform Act stated more vaguely in 2012: that regulating drones is the prerogative of the FAA. In specifying the extent of that authority the provision calls into question the legality of many of the drone laws passed by states in the four years since then. One of the dozen new laws that took effect in Tennessee this year made it illegal to fly a drone over a fireworks display, a correctional facility or an event attended by over 100 people. James Mackler, a Nashville-based attorney who specializes in drone law, said the law came about as a response to a series of drone incidents. In drafting the law, Tennessee lawmakers expanded the crime of criminal trespassing to include drone flyovers and stipulated the law would only apply in airspace not regulated by the FAA. But Mackler still questions whether the law is enforceable. And he said other states are passing similarly motivated and similarly questionable laws. “What we’re having are state reactions to specific incidents with real questions about the states’ authority to regulate,” he said. Presumably SB 2658’s preemption clause would answer those questions in a way that doesn’t favor states. But U.S. Sen. Dianne Feinstein (D-California), whose state has been a leader in the development of drone laws, is backing an amendment to SB 2658 that would limit its preemption language to apply only to the manufacture and design of drones, and only allow the preemption of state and local drone operation laws that conflict with FAA rules. “Reckless drone use varies significantly in different states and even within a state, which is why we need to maintain the ability for states to set their own standards of drone operation,” she told USA TODAY. “Centralized federal agencies are incapable of tailoring drone-use restrictions to fit the unique characteristics and preferences of every local jurisdiction,” Troy concluded. He added that one of the reasons Congress was “seriously considering statutory language that would effectively prohibit local drone-use restrictions” despite the advantages of involving localities in the process was that it would benefit Amazon and Google. “Federal pre-emption of local regulations would make it simpler and less expensive for these companies and others, such as Wal-Mart, to launch drone-assisted delivery operations in the U.S., Troy wrote. “With FAA authorizations, they would be free to disregard local drone-use restrictions.... Flocks of corporate drones could buzz indiscriminately over residential rooftops, day-care facilities, school playgrounds, and even local prisons, ignoring the wishes of communities and landowners below. Whatever the motivation for SB 2658, Matthew Colvin, principal associate of infrastructure and development at the National League of Cities, said as currently written, the bill grants the FAA authority that goes beyond regulating the safety of the U.S. airspace and treads on the right of local governments to ensure the safety of their citizens. “That space just feet above your head has never been regulated by FAA,” he told The Hill. Both Colvin’s group and the U.S. Conference of Mayors support Feinstein’s amendment to SB 2658. The National Conference of State Legislatures, the National Governors Association and the National Association of State Aviation Officials do as well. But The Hill reported that the sponsors of the bill appeared unlikely to support any changes to the preemption provision, since local governments would still be free to enact privacy and safety laws applying to drones as long as the laws didn’t refer to drones specifically. Michael Drobac, executive director of the Small UAV Coalition and senior policy advisor for the legal firm of Akin Gump, said the preemption provision would also prevent a patchwork of state and local regulations that could hinder the development of the drone industry, according to The Hill. The FAA maintains that state and local efforts to regulate drones also raise “substantial air safety issues,” according to a Fact Sheet the agency issued in December. The American public doesn’t seem to support that view, however. As reported via Business Wire, 68 percent of the respondents to a survey released last month by Smart Government, a smart-cities research and advocacy group, said they believe drone laws should be created by state and local governments because the federal government doesn’t know what’s best for their community. Seventy-nine percent said they believe their local government should have the authority to pass laws restricting drones from flying at low altitude over their properties. And 83 percent said there should be restrictions on the delivery of packages by drones. The fracas over SB 2658 begs the question: Will it pass? The bill’s sponsor, U.S. Sen. John Thune (R-South Dakota), chairs the committee that is considering the measure and is a 12-year veteran in a Congress controlled by his party. But another FAA reauthorization bill with no federal preemption clause has been introduced in the U.S. House (HB 4441). That measure is also sponsored by a veteran Republican Congressman, U.S. Rep. Bill Shuster (R-Pennsylvania), who is the chairman of the committee to which the bill has been assigned. It remains to be seen whether states will wait and see how the issue plays out on the Hill, proceed with greater caution, or keep moving ahead at full throttle.